FKANT 105 is constructed of aluminum and polycarbonate, with comfortable touch-typing keys and a generous tilt to the back panel hinge with smart-cover shutoff and wake. Seven backlighting colors and three key illumination levels are possible. The internal battery charges quickly and lasts a very long time during use and rest periods. Combined weight is modest with your precious new 10.5 inch iPad Pro inserted. The price is super-low compared to similar keyboard cases from well-known manufacturers. 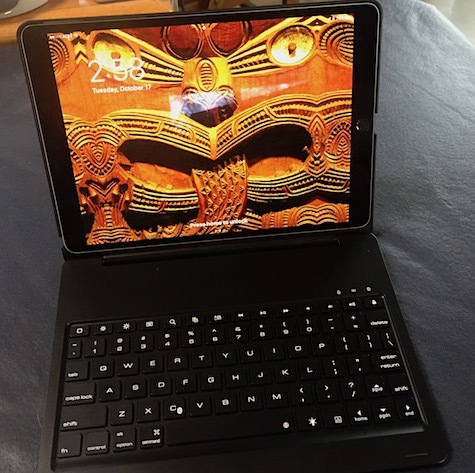 FKANT Bluetooth keyboard for 10.5 inch iPad Pro is easily opened with a strong magnetic spindle. You can adjust the screen to any position that is comfortable for you. If you have converted from the PC world you will love this keyboard. 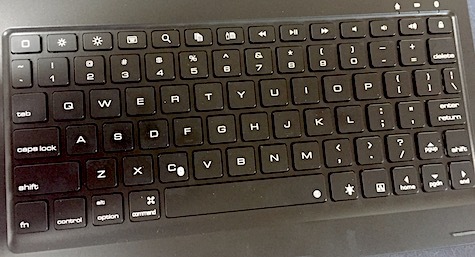 The top row of keys allows you to perform most of the functions right from the keyboard rather than tapping the screen. 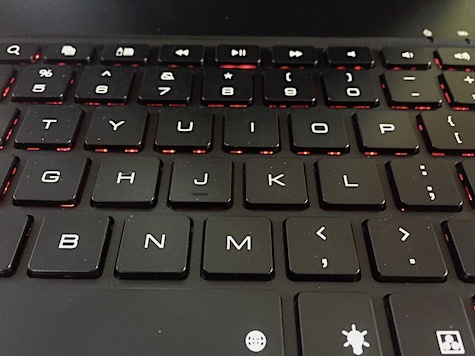 Otherwise the layout of the keys is similar to standard keyboards with the exception of the right shift key. 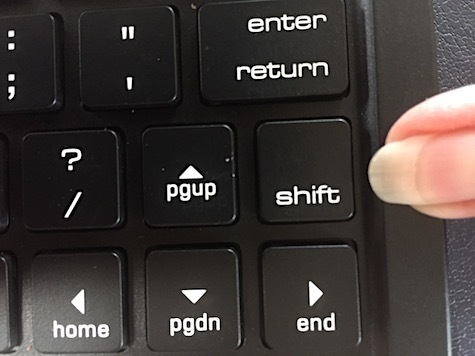 It is located to the right of the four arrow keys and if you are a touch typist you really have to make an effort to adjust to this position or you will land where the page up key takes you. After using FKANT 105 for a week or two you’ll forget this issue ever bothered you. The intelligent switch allows you to turn off the keyboard when you don’t wish to use it temporarily and it also allows you to reactivate it. Colored lights can also be chose for seven colors and three levels of backlighting. FKANT is Bluetooth paired without difficulty to your iPad Pro 10.5 provided you read the directions in the booklet that comes in the package. 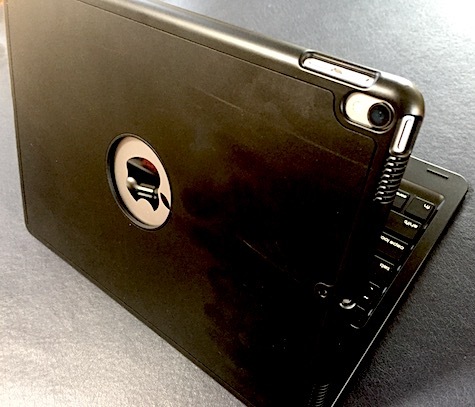 Being lightweight makes it easy to carry your iPad inside the case with you, although the smooth finish can be a little slippery if you are wearing silky clothing and operating it on your lap. The instruction booklet should be printed with larger print. Although the print is clear, it is very tiny. Overall it is a fully functional keyboard and is sturdy. I’m using it as I type this review.